Is the team format killing the winter charity event? This Friday night, hundreds of disc golfers will be traveling across New England to participate in the culmination of a competitive season that began in October. We’ve reached the end of the 2018-19 season of the New England Team Challenge (NETC). In the days leading up to the Finals, Ultiworld Disc Golf will be sharing articles examining the history of this league, its role in growing the sport, and the experience of team-based winter disc golf in the Northeast. Team Challenge has grown exponentially over the past few years. Casual players and PDGA professionals alike are snatched up by teams looking to make their minimum roster requirements. But as more and more players join TC teams, some Ice Bowl tournament directors have seen their tournaments — once staples of the New England touring season — fall by the wayside. “I don’t want to say the traditional Ice Bowl is dead, but it’s on its last leg, I think,” said A pool Commissioner Eric Kevorkian. 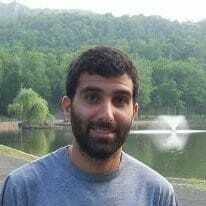 Just this past December, Trumbull, Connecticut resident Craig Smolin had to cancel his Sherwood Island Ice Bowl due to low participation numbers. And while Team Challenge wasn’t the only factor that led to low pre-registration, fewer and fewer tournaments are firing around New England throughout winter, as players are prioritizing their Team Challenge matches ahead of tournaments. 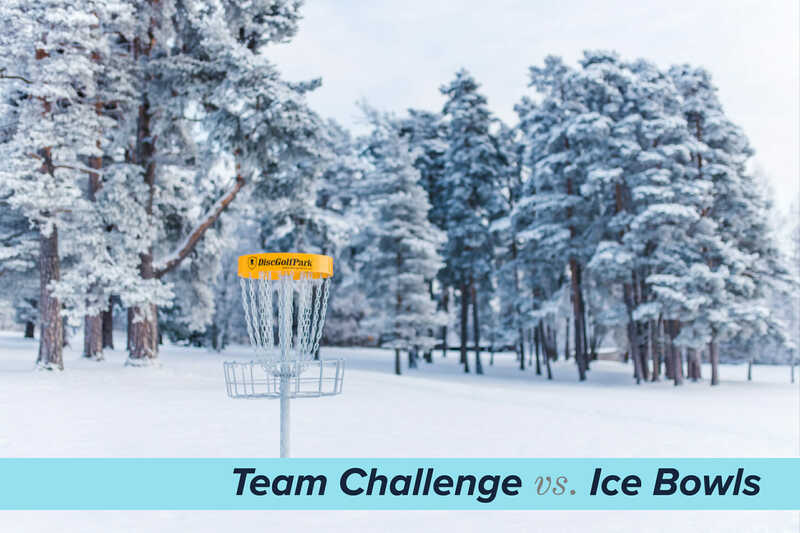 “[Team Challenge] used to be scheduled around Ice Bowls. Now it’s the other way around,” said Smolin.” “There used to be doubles tournaments in November and December too. Those have primarily disappeared except for FDR and Warwick. Kevorkian attributed the drop in Ice Bowl participation to Team Challenge being a better product for players looking to enjoy their offseason. Scheduling for Team Challenge matches is left mostly up to team captains, who have to coordinate on a mutually agreeable date. Team Challenge squads stretch from Maine to New York, so unavoidably, a match will fall on the same day as an Ice Bowl for one region or the other. Because of the rapid growth of Team Challenge, there aren’t many empty weekends during winter. “Team challenge is happening almost every single weekend in New England. Obviously, that’s going to detract from Ice Bowls,” Kevorkian said. Higher level professionals also have reason to be upset about dwindling field size. As Open fields shrink, so to do their paydays after winning these tough winter events. “Personally, the growth of TC has affected me in a bad way,” said Bobby Cowperthwait, the highest-rated player in Connecticut. Ice Bowls also often double as charity events, so fewer players also means fewer dollars for charitable organizations. Kevorkian, on the other hand, said that Ice Bowls have to adapt if they want to continue to stay relevant. Kevorkian suggested running tournaments other than the standard two-round, one-day affair, and pointed to successful smaller tournaments in the Massachusetts area which focused on a more laid back atmosphere, where players could buy mulligans, or doubles events where players could bring their own partners. He also pointed to the very popular Crane Hill Ice Bowl in Massachusetts as an example of an Ice Bowl that could be successful. If trends continue, the classic New England Ice Bowl, once a fixture of the frigid winter months, may soon go extinct. Comments on "Team Challenge Vs. Ice Bowls"